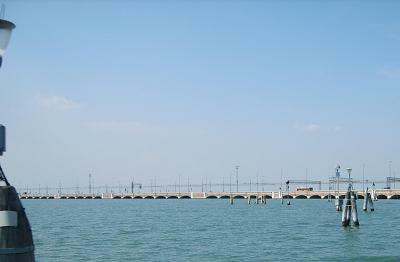 The Liberty Bridge connects the historical centre of Venice with the Mestre district on the mainland. The bridge is 5km and is used by cars, buses and trains. 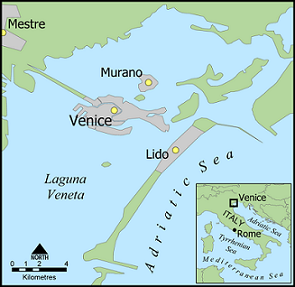 The municipality of Venice also includes the districts of Mestre and Marghera on the mainland. Most residents of Venice live here. Driving over the Liberty Bridge one can see the (oil) industry factories on the other side of the lagoon.